If you have noticed unshaven police officers lately, it’s for a good cause. 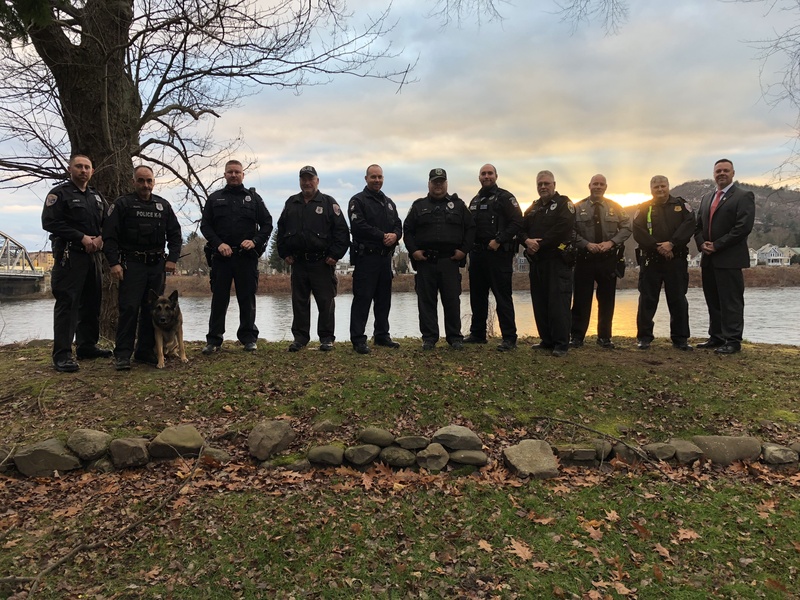 The members of the Eastern Pike Regional Police Department (PA), Town of Deerpark Police and the City of Port Jervis Police Dept. (NY) are participating in the No Shave November fundraising initiative beginning in November and ending December 12th in honor of all cancer survivors and a tribute to those residents and loved ones who have passed. All proceeds raised by the law enforcement agencies will benefit Orange Regional Medical Center’s Spagnoli Family Cancer Center. Police Officers are governed by strict grooming and uniform standards. However, during this outreach and awareness campaign, officers are permitted to participate in the No Shave initiative to increase awareness by embracing the growth of hair in order to evoke conversation and educate about cancer prevention, save lives and support those fighting the battle against cancer. Through this initiative, it is requested that the money usually spent on shaving and grooming for a month be donated to a cancer program or cause to assist with education about cancer prevention. Officers participating in the fundraising and awareness campaign have donated money to participate in the initiative and encourage all community members to participate by growing a beard, cultivating a mustache, skip shaving the legs and canceling waxing appointments. However, if letting all your hair grow is not possible, the agency police benevolent associations and foundations are accepting donations of any amount to sponsor, honor a loved one and or support their commitment to this cause. Anyone who wishes to make a donation on behalf of the Departments participating in this initiative can do so by visiting or sending a check made out to the following: Eastern Pike Regional (PA) Police, the Town of Deerpark Police or the Port Jervis Police Department headquarters to make a donation. Checks should be made specifically to the municipal police department PBA/Foundation. All donations will be directly donated to the Spagnoli Family Cancer Center located at Orange Regional Medical Center. On behalf of the men and women of the Eastern Pike Regional Police Department, Town of Deepark Police Department and the Port Jervis City Police Department, we thank you for your continued support and wish you and your families a safe and Happy Thanksgiving filled with grace!